"... [It is] the universal law in which is contained the ground-principle of all formative striving for beauty and completeness in the realms of both nature and art, and which permeates, as a paramount spiritual ideal, all structures, forms and proportions, whether cosmic or individual, organic or inorganic, acoustic or optical; which finds its fullest realization, however, in the human form." 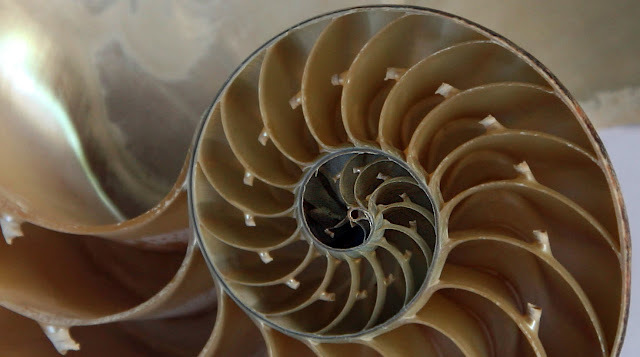 Well actually the nautilus shell is not a true Phi-spiral, but it's pretty close so we'll go with Zeising's effusiveness for now. This is Part IV in the series How to Draw the Acanthus, and deals with the topic of how to draw a volute, or acanthus scroll. 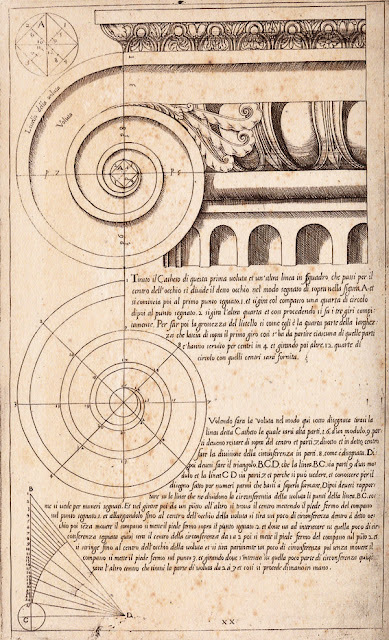 I don't mean to mislead with the opening image, but in this instance we are going to look specifically at the Ionic volute (not the curve described by the logarithmic spiral above). 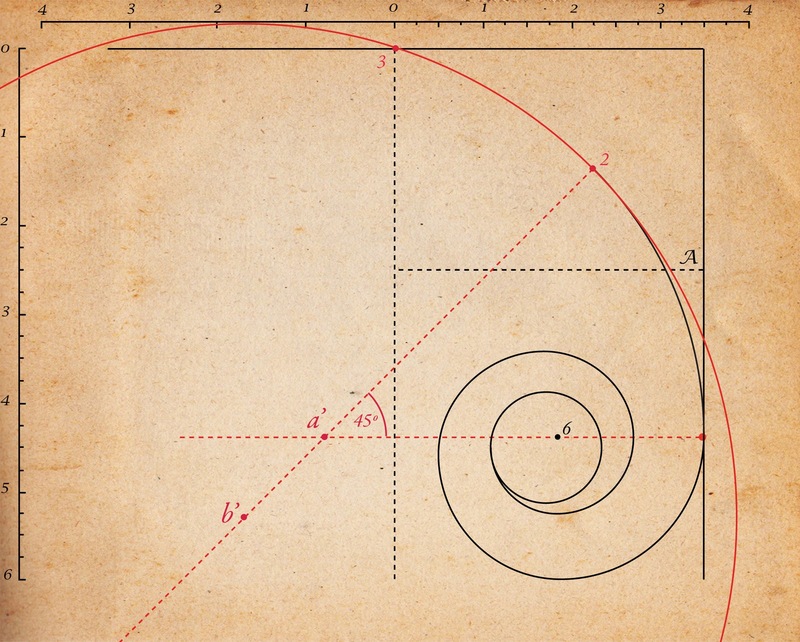 I have linked out in this article to other mathematical scrolls if you're interested in further reading regarding Fibonacci numbers, Golden Spiral, or logarithmic spirals. But first, a little background. The following quote is from Elements of Geometrical Drawing, by John Henry Spooner (1901), describing the Ionic volute. 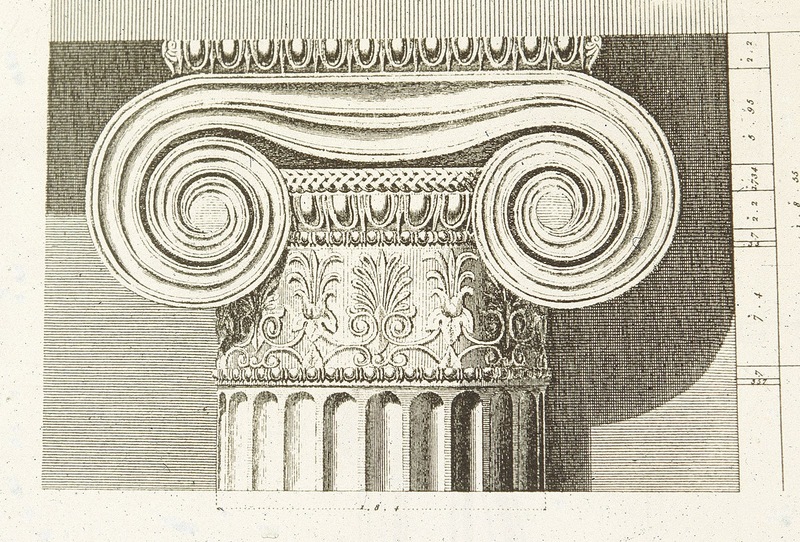 James Stuart and Nicholas Revett’s The Antiquities of Athens (1790) was the book that popularized the Ionic order of the Erechtheum through it's beautiful illustrations. 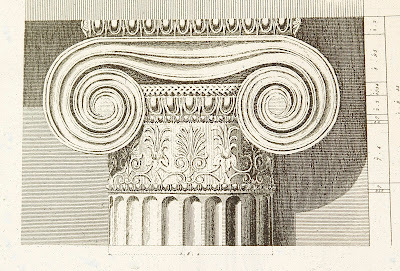 Historian Calder Loth points out that "The Erechtheum’s volutes are the most complex of all Greek Ionic capitals, having a series of tightly spaced creases or canals resembling fine drapery. The central swag in the canals, a characteristic feature of Greek Ionic capitals, emphasizes the drapery-like character." "... not only the elaboration of ornament characteristic of this order, but also a principle of ornamental design that is of the utmost importance in its relation to the lack of invention of new forms and the restraining influences of certain art periods. 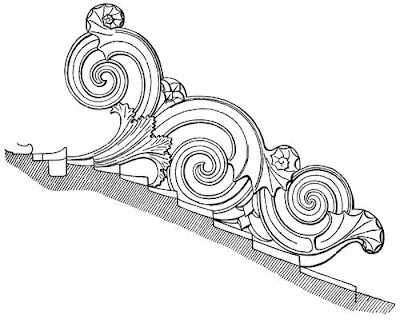 It will be observed here that the various parts of the acanthus scroll grow out of one another in a continuous line. 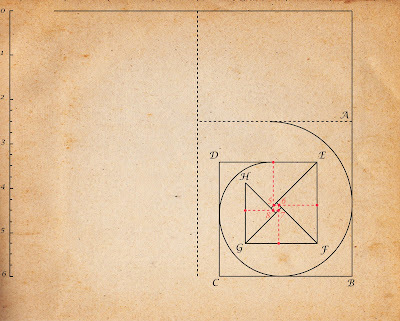 This is a principle of design that originated with the Greeks, and was continued by the Romans." 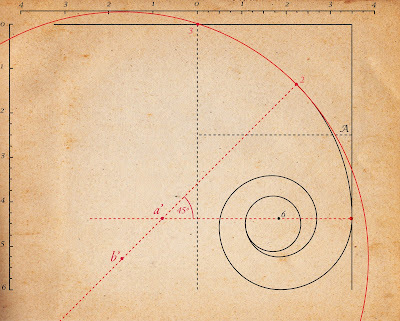 So we're beginning to see the importance of the scroll design, whether as described by the natural roll of a fern or shell, as evidenced in Greek, Roman or Islamic architecture, or as a mathematical design principle adopted by the likes of Le Corbusier. It seems we should probably learn how to draw one of these things then, right? 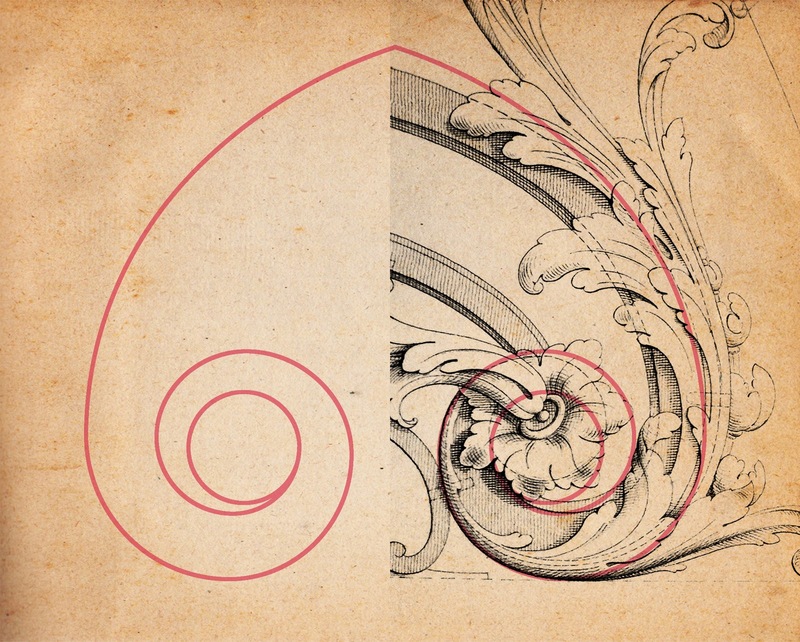 There is ample historic precedent for drawing the volute, but oddly the information seems to vary. A number of different methods are described in The New Metal Worker Pattern Book, by George Watson (1901). 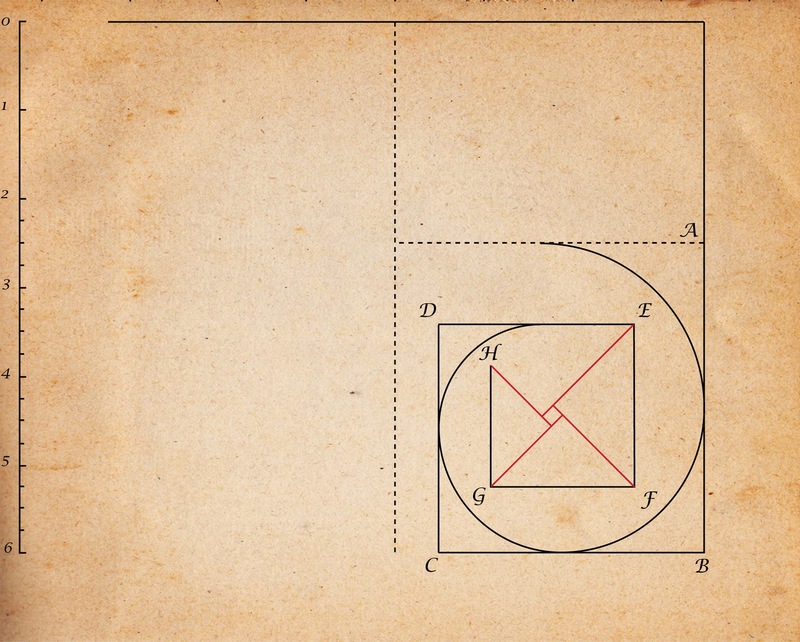 Spooner maintains that the ratio for describing it's curve is 7 : 6 : 5, and claims that the Greeks would agree. Another source follows a ratio of 6.5 : 5.5 : 4.5. 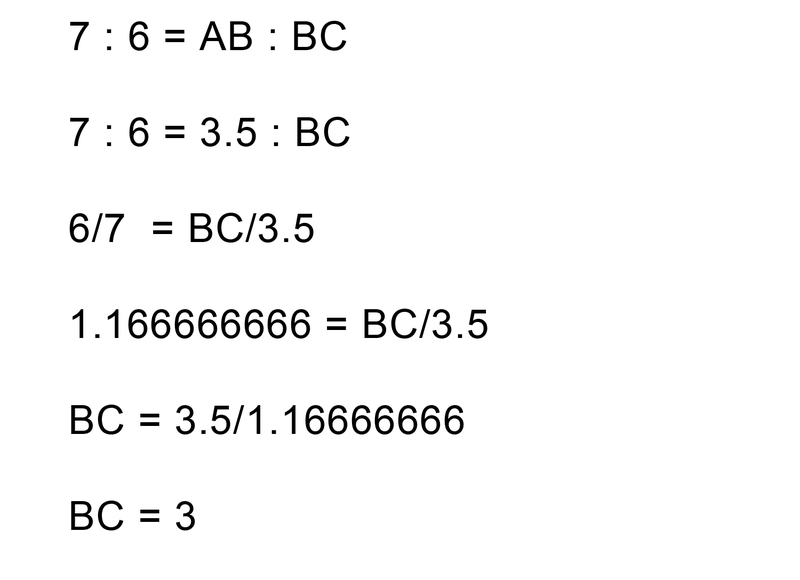 [Though I am strictly a layman, these ratios seem like approximations to me; 7 : 6 is surely not the same as 6 : 5, nor is 6.5 : 5.5 as 5.5 : 4.5 (but please feel free to enlighten me). A more accurate Ionic ratio would be 7 : 6 : 5.143, which is what I will use here]. The point is that although the ratios may change, our method for constructing the volute remains the same. 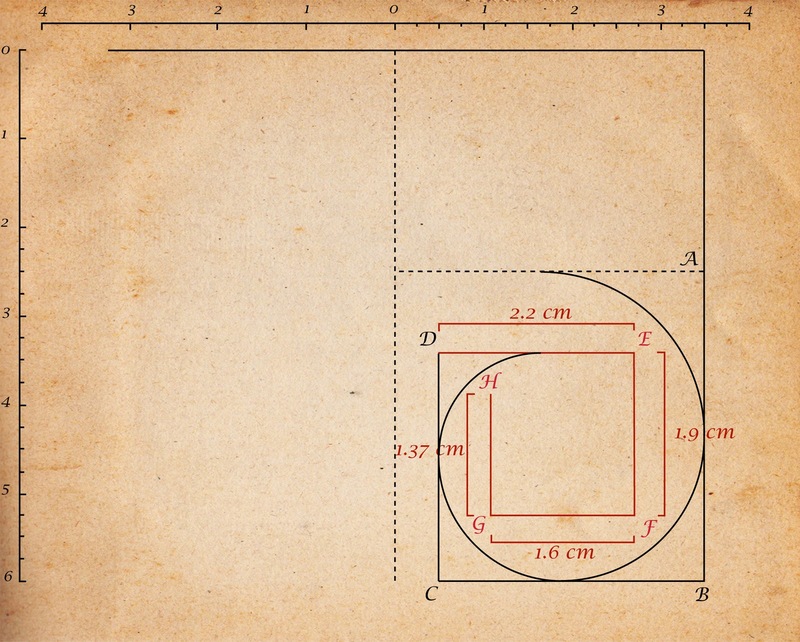 We could substitute 7 : 5.5 : 4.321 (which would describe a different curve) just as easily, but for now we will concentrate on drawing the distinctive ram's horn shape of the scrolls of an Ionic capital as described by Spooner's ratio. 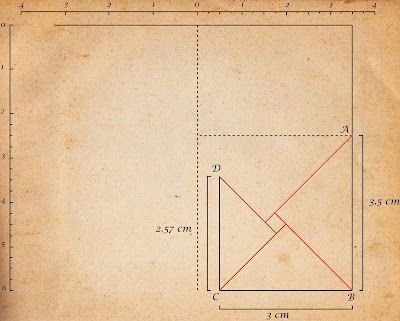 Step 1: I decided arbitrarily to start with a rectangle 3.5cm wide and 6cm tall [Fig. 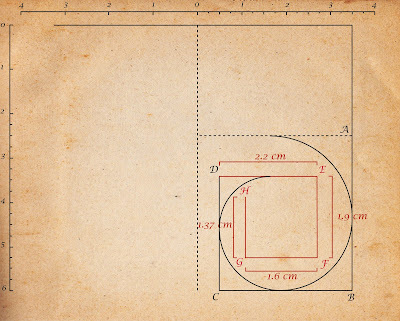 1], and to start the convolutions of the curve at A, 3.5cm from the base of the volute. Step 2: So, according to the traditional ratio of 7 : 6 : 5.143, we divide the length of AB by 1.1666666666 to give us the length of BC. 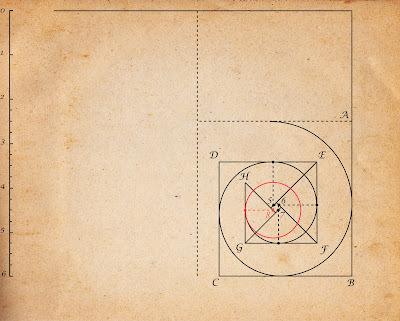 [In the case of the ratio 6.5 : 5.5 : 4.5, we would divide by 1.1818181818]. Continuing in this manner, we determine the length of CD [Fig. 2], by dividing BC by 1.1666666666. 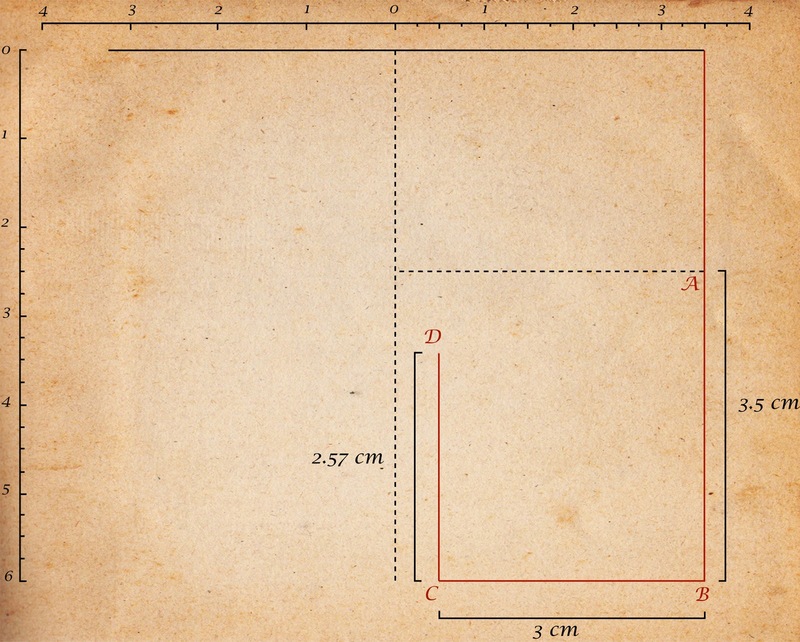 This gives a length for CD of 2.57cm . Step 3: Next, draw lines through the points ABCD at 45º [Fig. 3] to where they intersect to form a rectangle in the middle. 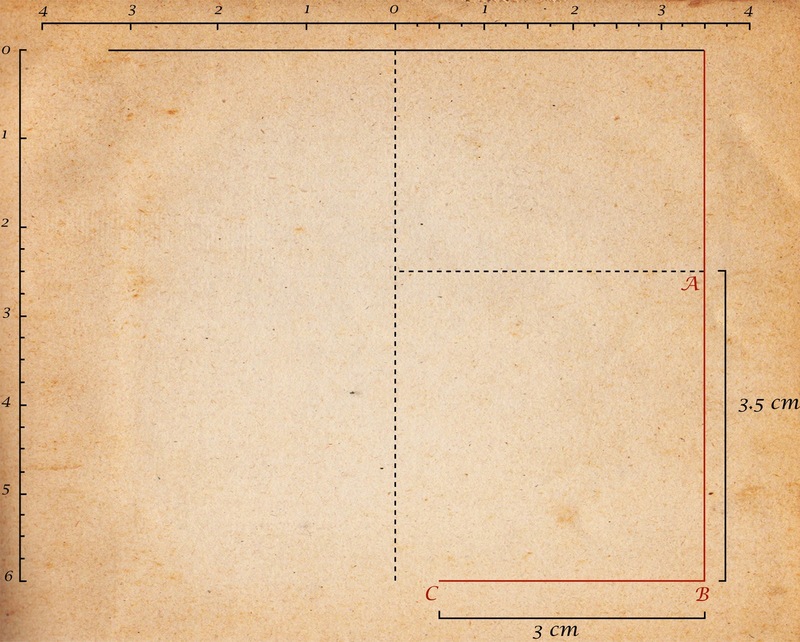 Step 4: See that little rectangle that you just made? You'll have to find the midpoints of each of those sides. Let's call them 1,2,3, and 4. 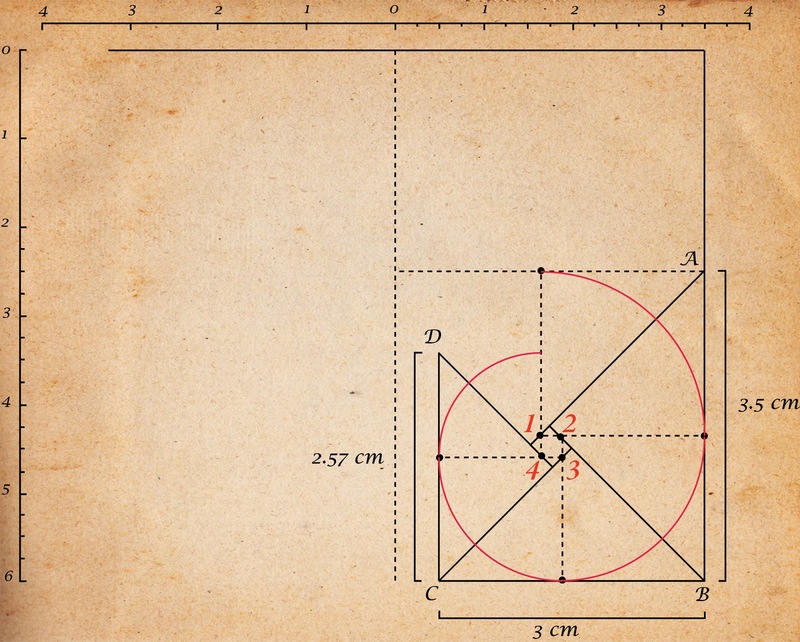 Now draw lines perpendicularly from those midpoints to intersect AB, BC, and CD [Fig.4]. Step 6: Let's now draw the second, inner rectangle EFGH which we will use to draw the second revolution of the spiral [Fig. 6]. According to our 7 : 6 ratio, DE = 2.2cm [CD ÷ 1.16666666]. 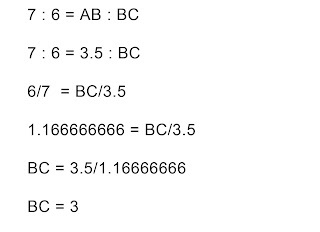 EF = DE ÷ 1.16666666 = 1.9cm. FG = EF ÷ 1.16666666 = 1.6cm. Step 7: As in Step 3, draw lines from points E,F,G,H, at 45º to where they intersect in the middle to form a rectangle [Fig. 7]. Step 8: Draw lines perpendicularly from points 5,6,7 and 8 to connect with DE, EF, FG, and GH [Fig. 8]. Step 9: Connect the dots (as in Step 5), using points 5,6, and 7 as the centers of our arcs [Fig. 9]. Step 10: If you wished, you could repeat Step 6 through 9, to give you a third inner curve to the spiral, but I'm going to stop here. 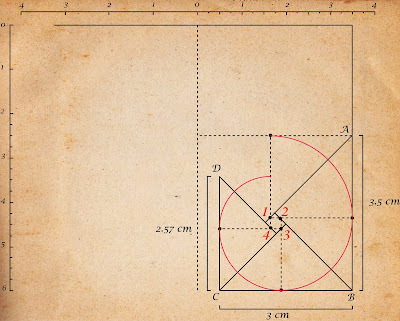 From the last point (8), instead of describing a short arc, we continue around and draw a full circle [Fig. 10], which is the central circle of our newly completed volute. So there you have it. Step 11: I could have just stopped at Step 10, but I'm going to add two more steps. I want to extend and soften the curve at the top (or the "thread", to borrow a term from a stair-makers lexicon). This will make it look more like the acanthus scroll. In order to do that, take the line that passed through Point 6 and Point 1 [Fig. 11] and extend it out to the left. Here's where a little creativity comes in. 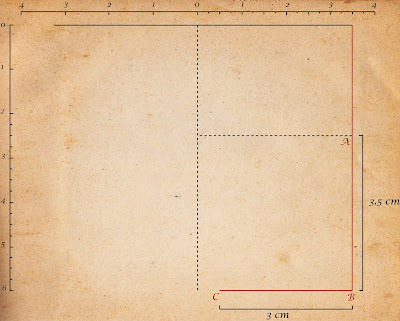 Draw a line at 45º that intersects with your horizontal line at point a'. You can position that line wherever you want. Now draw an arc centered on Point a', that goes from Point 1 and stops where it intersects the 45º line. Step 12: Now we're going to finish it off. Using a point (b') further down the 45º line as a new center point for the last section of the arc, connect Point 2 and Point 3 [Fig. 12]. I hate math, but I am squealing with delight over this post!!!!!!!!!! I have played around with only a few steps of this in the past. Thanks Alan for posting this. I loved this whole article! Thanks. As Winnie the Pooh once said to Christopher Robin "I am a bear of little brain". Months later... just to say a big THANKS for posting this. Very interesting/useful ! I just re-read it also after months, and have absolutely no idea what I was talking about. 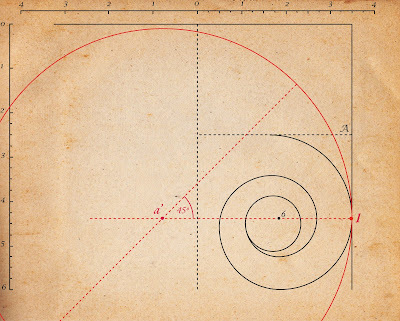 This is Vitruvius method which produces up to two windings the actual classical spiral has more sometimes as many as 4. Thanks, anonymous. I figured that after 2 full turns that people would get the idea. If you want to make more turns, simply repeat the steps. But heres the trick. In Vitruvius books De architecture he explains same method as you but, the size of the circle in the center of the spiral is 1/18 Diameter of column and the height of the spiral itself is 1/2 Diameter of column So after 3 spirals you have no more room to go. so you cant repeat any more steps. The Classical Eye of Volute had sometimes as many as 4 spirals and it is still unknown how the classical people achieved this some say they would draw it by hand but that is highly unlikely since the carvings were precise. I'm so excited you did this series, as I want to use them in home decorating. This one looks like the Greeks disguised their connection to the Egyptians. 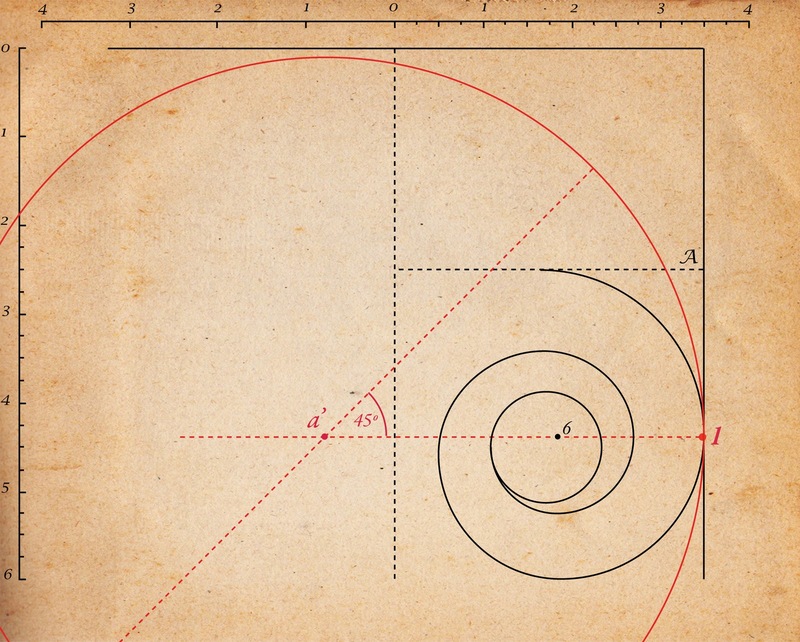 The use of the ammonite became so obscure that it took me several years from first hearing that people worshiped on them to finding out that they were part of Egypt's belief that to be around the Fibonacci represented in nature would uplift people spiritually. Hindus see the fossils' age as inspiring to remember eternity, as well. Probably the Greeks saw some political advantage in using leaves, rather than fossils.